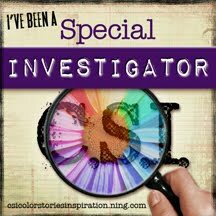 Hello, hello lovely blog readers. Firstly, my apologies for being a day late but I spent the whole of yesterday doing David's books and then was too brain dead to sort out a blog post. So what have I got to show you this week? Not too much on the crafting front - some pages I like and one that I am really not sure about. So on the Mind The Scrap Facebook group, last Monday, Emma choose Mood Boards as the creative prompt. 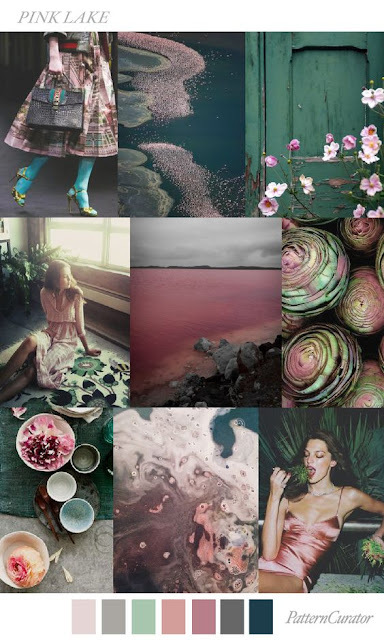 This seems to be a popular theme this month as the ATDML pre Virtual Crop Challenge this year is also Mood Boards. 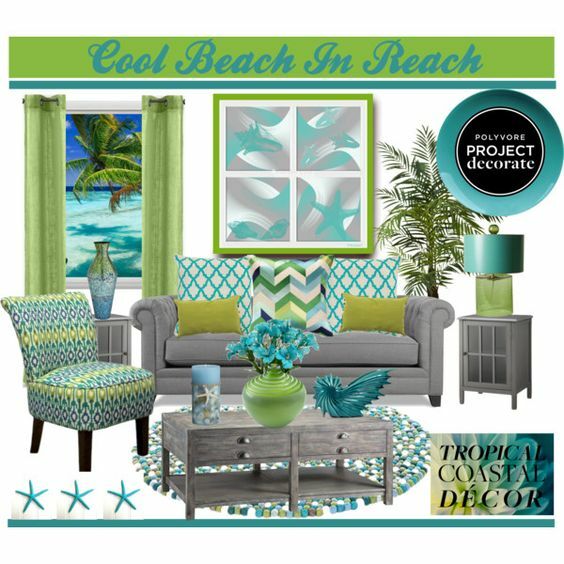 From this I drew inspiration from the colours, the legs in the top left, the landscape/seascape in the middle and the placement of the bowls in the bottom left to make this layout. The second one is the page I am not very keen on - not sure why but someone did comment that it was very different to my usual style so perhaps that's why. 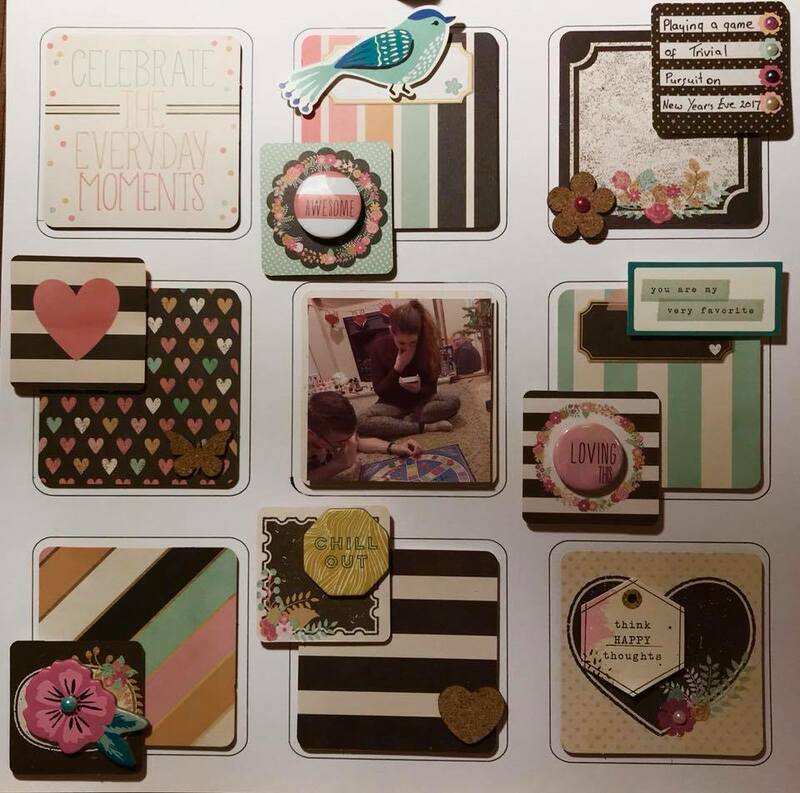 I chose this one as the colours fitted in with a colour challenge on the Crafters@Play Facebook page. I took inspiration from the pattern of the cushions (how fortunate that I had a scrap of paper left over from a previous MTS kit that exactly matched the centre cushion. Also on Saturday, my ATDML Virtual Crop Class for January went live. 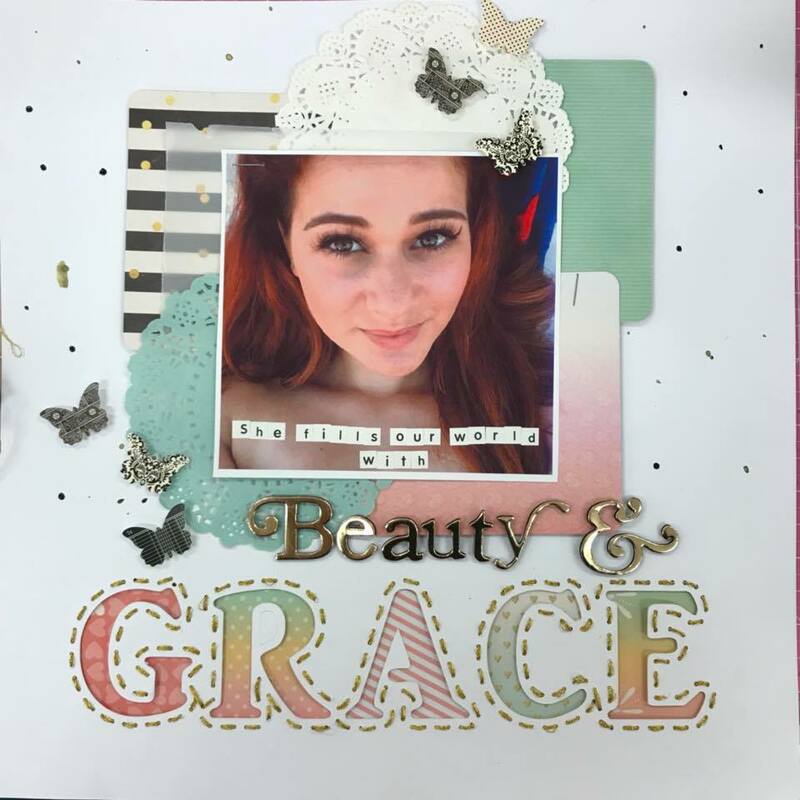 This was a two page class using Bo Bunny Love and Lace Range. 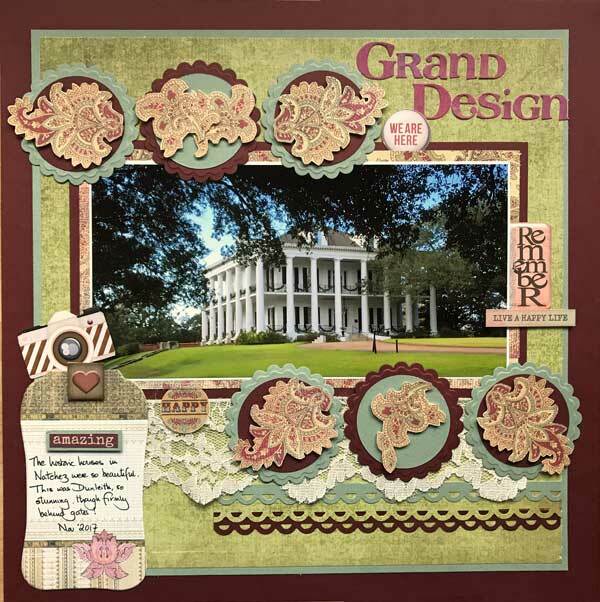 You can find the class instructions from a link in this blog post and as you can see from Karen Leahy's stunning version you don't need to have purchased the kit to make the pages. 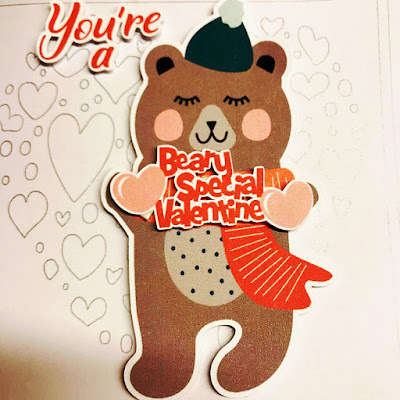 For the Silhouette UK DT I made a card with the free Design Of The Week (not a design that I was particularly enamored with) - it was just the bear and I added the sentiments and sketch pen hearts. and also wrote a tutorial on making some place cards. 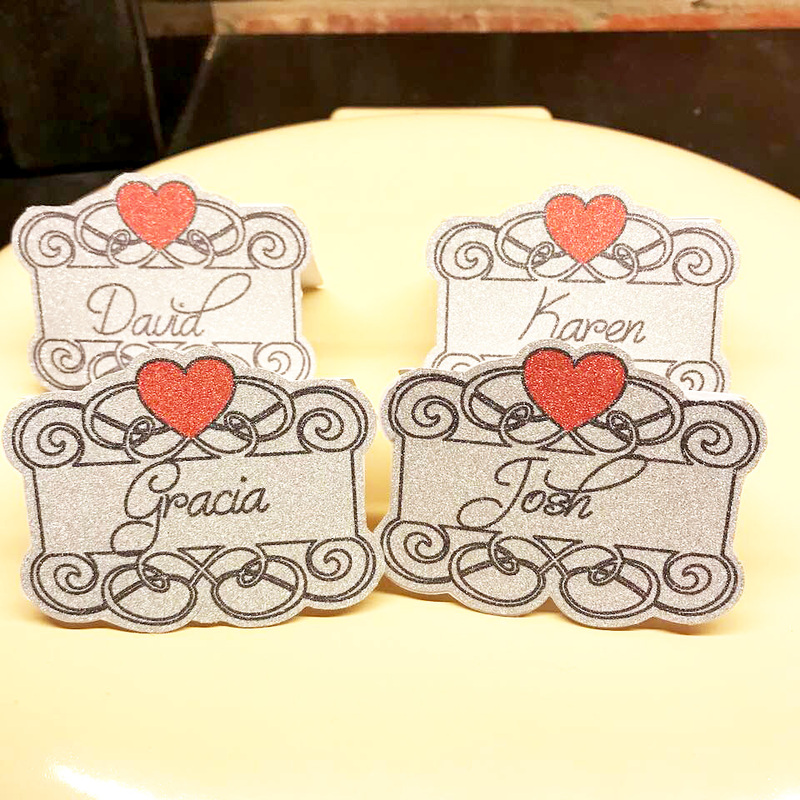 These were originally supposed to be made using the Silhouette foil but to be honest after spending a whole afternoon trying to get it to work I gave up and printed them onto glitter sticker paper. 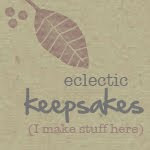 Lastly, on the creating front - I have a couple of sneak peeks of what is coming up at the weekend. 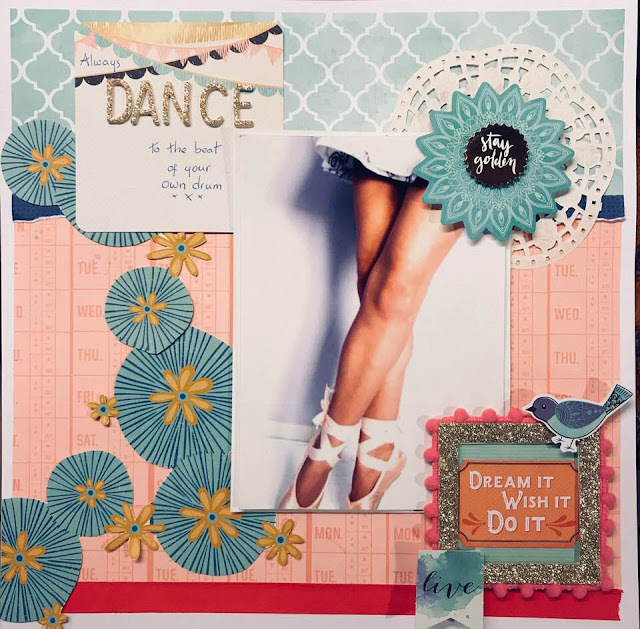 and this one is for a year long challenge that I am starting on the ATDML Facebook page. Now for the best news of the week - Gracia and Josh have completed on their house purchase and are now proud owners of this lovely house. 1. 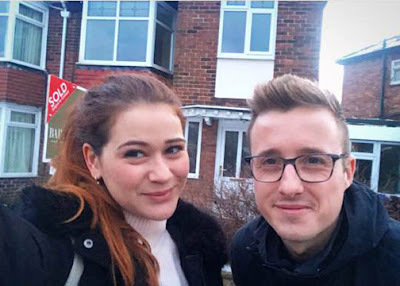 Although it means that they are staying in Newcastle for the foreseeable future, I am both sad and glad that Gracia and Josh finally have a home of their own. 2. Going with a friend to see The Greatest Showman, for the second time, this afternoon. 3. David bookkeeping is done for the time being. 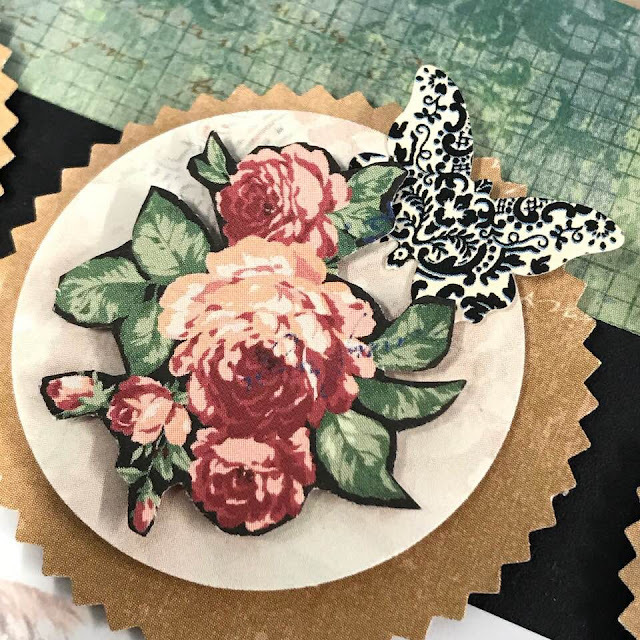 Hello, hello lovely blog readers. It's Monday again and time for a little show and tell. Today, my first page for Stick It Down goes live and I am really excited about this as I love sketch challenges. For this page I used Silhouette cut files for the corner and snowflakes and cut them from some sparkly white card, which I also used for the title. It was a fairly simple page but I love the finished article. 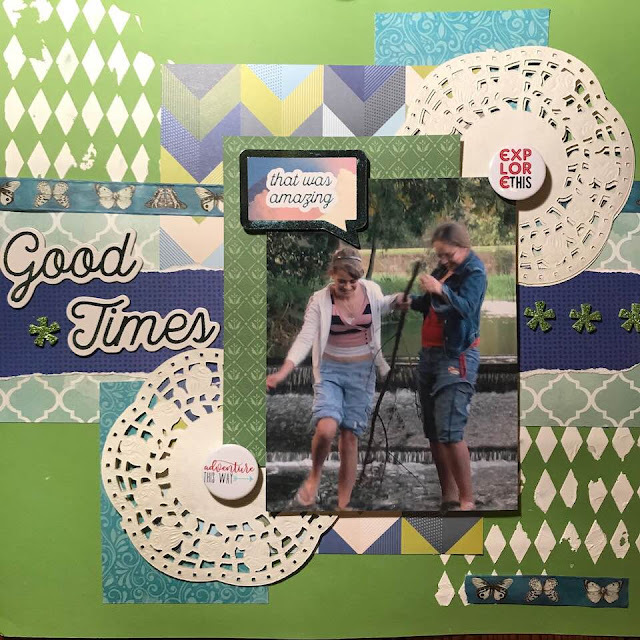 Also this week I joined in with the Week 2 Challenge on Mind The Scrap, (I am so glad I came across these lovely scrapbooking kits and the lovely Emma who runs the business)which was to scraplift a page by Suse Fish. I must admit I hadn't heard of her before but after watching her YouTube videos am a fan. and another one using the MTS kit but focusing on using the little cards that came with it. 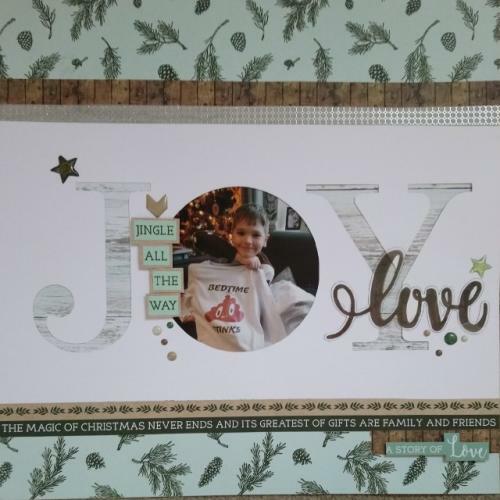 The First Scraplift Challenge of the year went live on the ATDML blog on Friday and I chose to scraplift this layout from the December Gallery by Ann. The December Gallery can be found on the ATDML shop website on the right under the Information Section. I took inspiration from the photo in the letter O, the overlapping title and the horizontal stripes. 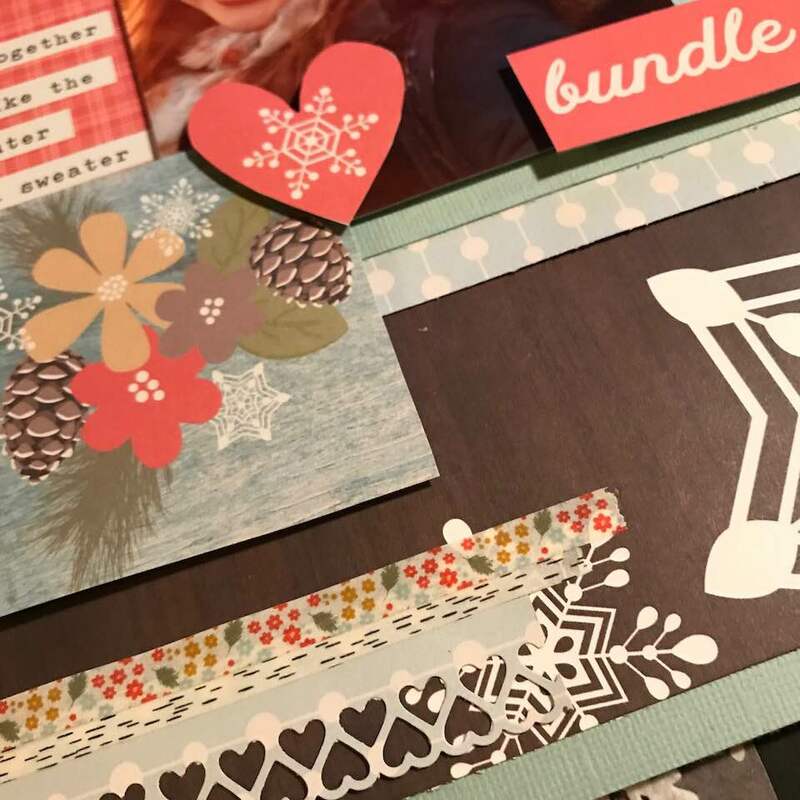 My offering for the Silhouette DOTW, this week, was to use the 'Snow Cute' cut file as a scrapbook title and add the gorgeous stag from Nic Squirrell . Finally, well done you if you have got this far, I have my Woodland Blanket news. I have crocheted 15 stripes of colour but really, really don't like it. The colours are too random for my OCD to accept so have decided to unravel it (this is called frogging - I am assured by Antonia that this is because ou go 'rip it, rip it, rip it :0) ) and use all the greens at the bottom going into the oranges in the middle and then to the blues and gray. 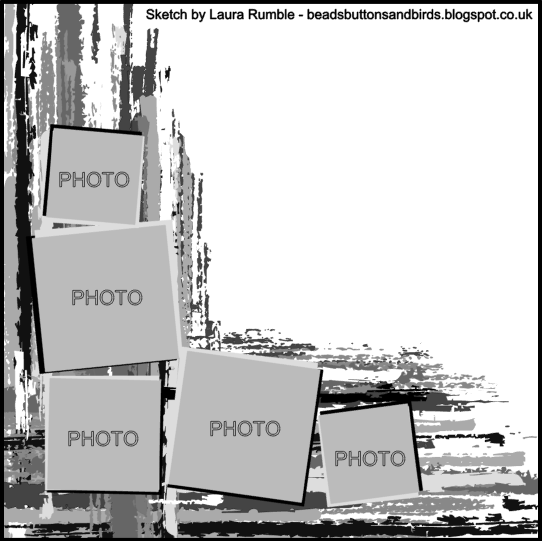 I had this idea when walking with David and Kiera, in the woods, yesterday - to me that would look more like an autumn woodland. Hope you all have a splendid week and I may see you again later on this week - depends on how I feel - see I am so laid back I just don't care! 1. 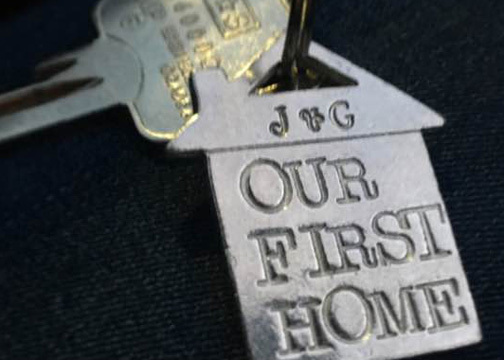 Gracia and Josh should complete on their house on Thursday and they have already put their name down for a puppy - I will be a fur grandma soon! 2. Loving my three day week giving me a 4 day weekend to play to my little heart's content. 3. Going to relaunch Kitty-Boo Designs and get some new items onto the website. 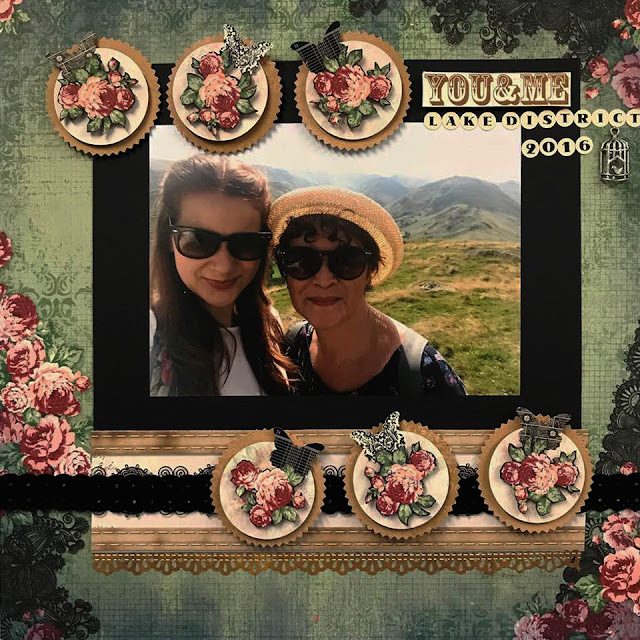 Just a quick one to show you what I made with the free Design of the Week from Silhouette. You may or may not know that I am on the DT for Silhouette UK and have been for the past two years. Come February I am delighted to be starting my third year. So the DOTW was a title - SNOW CUTE. I added an offset to the title and cut the title from Kraft and the offset from white. I then cut out the stag's head in Kraft and white and coloured the flowers and leaves with watercolour paint. 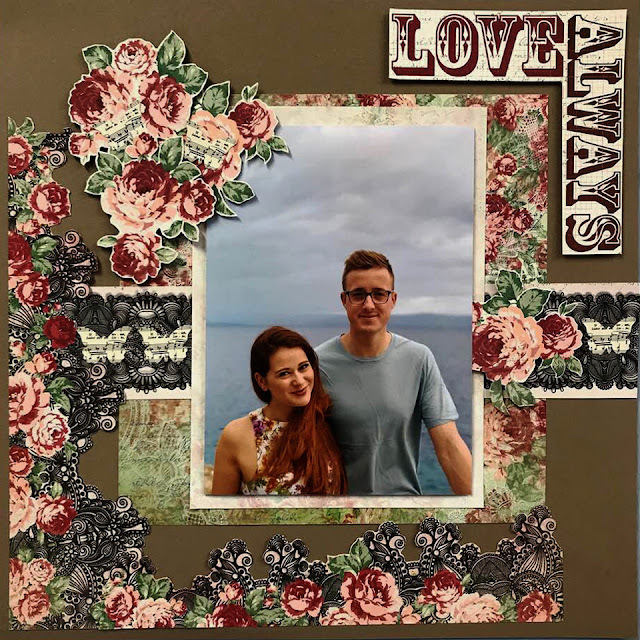 Finally, I added my photo and embellishments. 1. I now have Monday's and Tuesday's at home to play to my little heart's content. 2. Although it has been cold and damp I still managed two lovely walks today with my puppygirl. Welcome to the first Show & Tell Monday of 2018. What a lovely Christmas we had, spending from Boxing Day until New Year's Day in Newcastle with Gracia and Josh. It's no secret that I absolutely love Newcastle and, apart from David's two day migraine, we had a fabulous time. 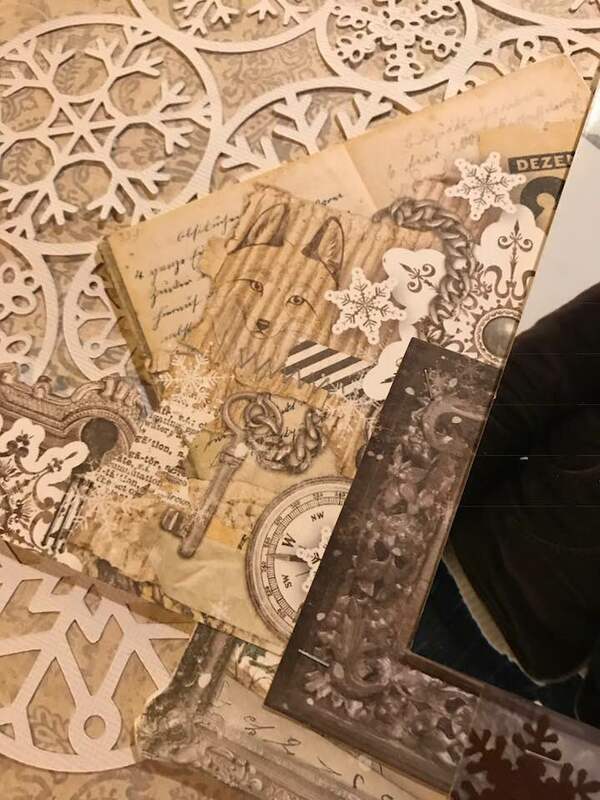 When we got back home I was suffering severe scrapping withdrawal and got to work making a page using my December Mind The Scrap kit. Loved all the stickers, the sparkly alpha but especially the Bramble Fox Perspextives word. Wobbly photo as propped up on my AGA chimney as that is one of the few places with enough evening light to take a photo. 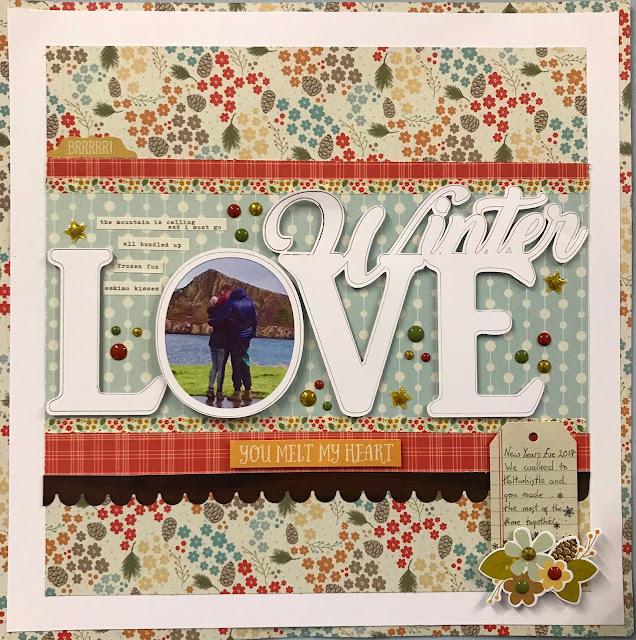 Next I made a layout using the Design Of The Week, from Silhouette Studio - Winter Mittens, using some of my November Mind The Scrap Kit. I also made a page in response to a challenge - also from Mind The Scrap - to create a page with lots of white space - I have to admit I struggled and had to walk away before I added more. Designed the title on Silhouette software and cut and drew it with my Silhouette. I have also started a CAL (Crochet A-Long) that is on Lucy, from Attic 24's, blog. I found it very tricky to start with as I miscounted and eventually undid the whole of the first row of pattern five times. Once I had the first row set it all fell into place and I have been able to get 8 stripes of colour done. I must confess I have mistakenly added a row of copper in addition to the ones in the pattern but, in fact, I like the extra row so will keep it. I had the idea of cutting a little piece of wool and sticking to the paper band around the corresponding ball of wool so that when, as will inevitably happen, the band falls off I can identify the colours I need. 1. Spending a week with the kids and making wonderful memories. 2. I have a day planned out in my craft room. 3. Have an appointment with the Doctor to review the x-ray and hopefully sort out my knee so that I can start exercising again soon.